Save the date! December 15th. The Why Factory exhibition opens at COAM Madrid. Lecture by Winy Maas at 7 pm. More very soon! Save the date! December 15th. 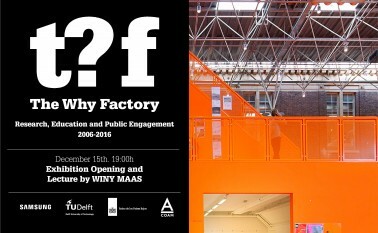 The Why Factory exhibition opens at COAM Madrid. Lecture by Winy Maas at 7 pm.